She goes easy on the foundation, nothing too obvious. Emphasizes the eyes and brows. No bright color lipstick. Gloss or natural color lipstick. 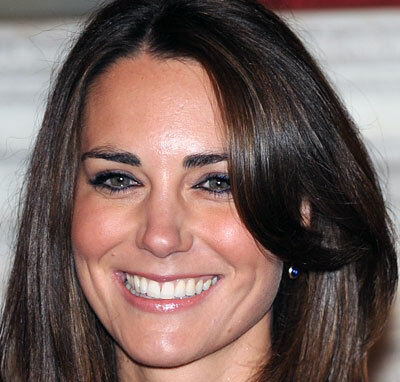 Here again, although the picture is taken at an event, Kate is careful with the makeup. She looks very natural. The emphasis is on the eyes and cheeks. There is a little bit more of everything than usual. Slightly darker foundation and brighter cheeks. She paid more attention to the eyes and brows making them look sharper. The lipstick is matching the tone base and cheeks, only a tone or two paler. 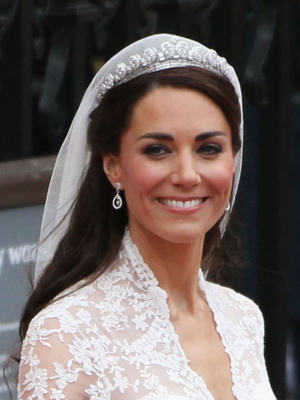 Kate definately has her own style in makeup – naturally elegant.